Good morning sunshines! And how are you on this fine Sunday morning, got any good plans for the day? Me, my day will be consisting of cooking an awesome roast with some twice-baked potatoes, reading, blogging, cleaning and chillin' with the family. Our daughter will be starting high school (GASP!!) in a few weeks so we're trying to take advantage of the rest of the summer and spend some quality family time together. In READING NEWS I finished The Countess and the King by Susan Holloway Scott last night. Whoa....what a FANTABULOUS read...loved, loved, loved it!!! I've read a lot of great books this year, but this one will be among the top 5 I can tell you that now. Susan's writing is phenomenal and Katherine Sedley is a heroine that I think every reader will fall in love with, I know I did! In case you missed my earlier announcement, author Susan Holloway Scott has graciously agreed to stop by Passages to the Past for an Author Chat Night for the release of this book! I was excited before, but now I'm even more so after reading the book. I made sure to take lots of notes so that we will have tons to talk about! And if we run out of TCATK talk then we always have Project Runway and baseball to fall back on! Ha! My next read is The Miracles of Prato by Laurie Albanese and Laura Morowitz for the blog tour hosted by TLC Book Tours. The reviews on this book are good, so I'm hopeful that I'll enjoy it! SYNOPSIS: Italy, 1456. The Renaissance is in glorious bloom. A Carmelite monk, the great artist Fra Filippo Lippi acts as chaplain to the nuns of the Convent Santa Margherita. It is here that he encounters the greatest temptation of his life, beautiful Lucrezia Buti, who has been driven to holy orders more by poverty than piety. In Lucrezia's flawless face Lippi sees the inspiration for countless Madonnas and he brings the young woman to his studio to serve as his model. But as painter and muse are united in an exhilarating whirl of artistic discovery, a passionate love develops, one that threatens to destroy them both even as it fuels some of Lippi's greatest work. The Jewel of St. Petersburg by Kate Furnivall. Ends August 16th. The Red Queen by Philippa Gregory. 3 copies. Ends August 17th. His Last Letter: Elizabeth I and the Earl of Leicester. Ends August 19th. 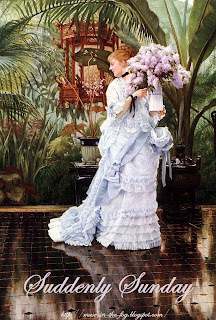 The Secret Eleanor by Cecelia Holland. Ends August 20th. Dracula in Love by Karen Essex. 3 copies. Ends August 21st. The Killing Way by Tony Hays. 4 copies. Ends August 23rd. Thanks to everyone who's entered already and for all of you that have helped spread the word....the entries are piling up and it's going to be so much fun to see who wins what!! I can't remember if I shared this with you yet or not, but here is the Showtime trailer for their future series The Borgias. 2011 can't come fast enough for me! Well I think that about covers everything! Thanks for stopping by and I hope you have a great rest of the weekend! I'm doing pretty much the same today, cleaning, cooking, blogging and spending time with my family. We're in the same boat then, my oldest is starting high school in a few weeks. I think I might have a mini meltdown then...lol. He's growing up too fast. Wow, Countess and the King sounds awesome. Visiting your blog always makes me add to my wish list. p.s. thanks for sharing the Eddie Vedder song. I have to watch that movie. I spent the day today at Sturbridge Village - today was their huge reenactment day of a battle of the American Revolution. Very cool. But now I'm hot and tired. I started Countess and the King and am about 60 pages in now - I can predict her getting into a lot of trouble, haha. I will be reading Miracles of Prato shortly, and you know that I am desperately trying to find the time to fit in Countess. Maybe I should chuck a sicky later in the week and just read! (nice Australian colloquialism there for you)! Another intriguing series on a premium channel we don't get. Wanted to see PILLARS OF THE EARTH too. 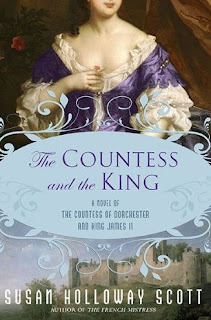 Can't wait for the interview with Susan Holloway Scott about THE COUNTESS AND THE KING. 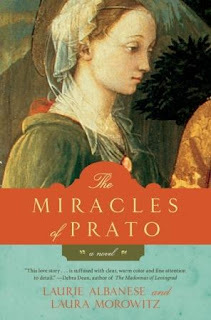 THE MIRACLES OF PRATO sounds good. I can't wait to see EAT PRAY LOVE. Don't know id my Hubby will want to go. This may be a mom and daughters night out film. Thanks for the link for the song video. To quote Trish "I am peeing my oants in anticipation" of the Borgias. I LOVE Jeremy Irons. He is a phenominal actor and everything he does is so passionate and powerful. I can only imagine how the Borgias will be.